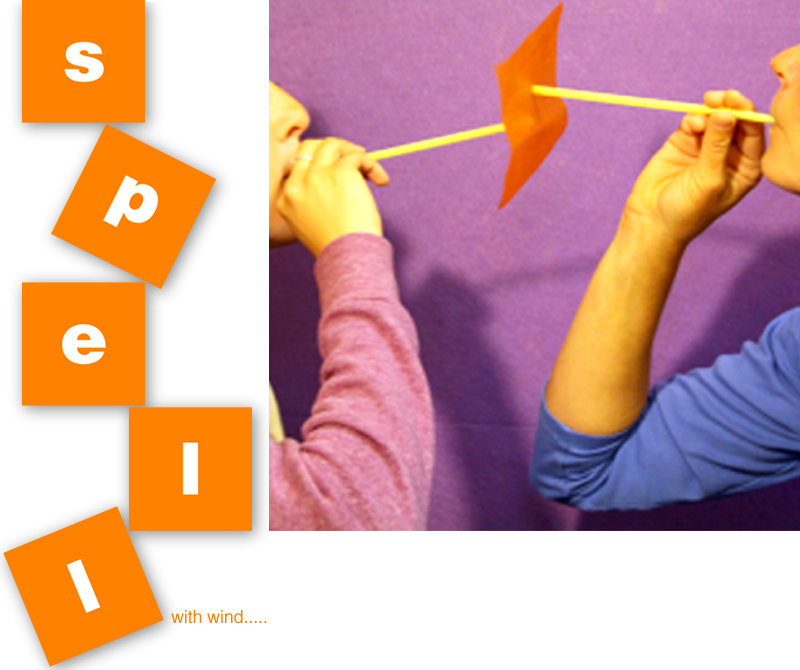 Practice spelling with the power of air! Kids are split up into teams. Teams are given a word. They figure out the spelling. They write each letter of the word on a separate square piece of paper (light weight works best). Then, they get in a line and have to pass each letter of the word (in the correct order) down the line using a straw! The team that creates their word the fastest get a point! Check out Sophie's World (featured above) for instructions on how to "pass the paper!"